We did our very first mythic!! Can you believe it! We are soo excited. 310 ilevel for me, Moryrt and Nibblepie were about 316-320, so we knew we weren’t too far off being able to handle them with our set group. Stab was 340 I think and Pracey was 332? But still not exactly stellar levels. We had one particularly bad patch where we got mobs from behind a hut accidentally as well as mobs to the side. It was bedlam. We wiped technically once, but we died a lot more than that. We kept running back individually to keep the momentum going before deciding to just wait and go again as a group. I took a picture of our group in the middle of the run because I wanted to remember our very first mythic. Unlike some people who have already completed the collective mythic achievement, some of us have waited to go together as a group. LOL yes, many cherry popping jokes were made because some of us are juveniles when together. The last boss killed us, once. I am terrified of doing this on a harder keystone. This fight is horrid. So much stuff on the ground, and homing missiles and gattling guns and smashes ….it makes me nervous. Hopefully a few more attempts and we will spank it with ease. We finished that earlier than we thought we would, so we signed up for another heroic. The Waycrest Manor. (We now only have 2 more to see). I liked it. Pracey was enamoured with the pipe organ playing throughout and I admit it was nice. The fights aren’t too bad on heroic. I have no idea about the fight with the flasks and the dead people, but I am sure I will make sense of it after another couple of goes. I clicked a “Vile pod” which was sitting in a fountain in a courtyard and “Groundskeeper Lilltih” popped up and almost killed me. I started screaming for aid. Reminiscent of Gondor really, but my team came running and I survived. I tried to not touch anything else. There doesn’t seem to be anything fancy about the pod just an extra elite spawn. So mythic number 1 done. We got so much gear drop as well. Pracey is the only plate wearer and the brilliance of 4 people being able to swap gear is indescribable. 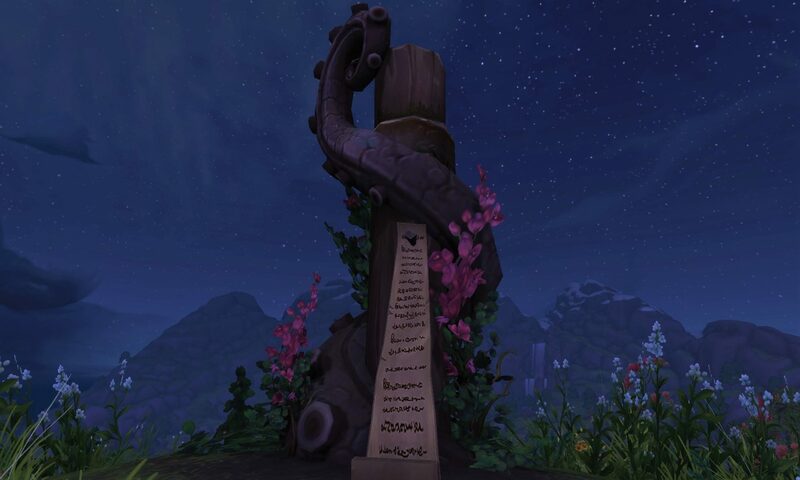 We are now well into the 324 space for ilevel which means we might get close for raiding requirements set by the guild of 330, especially if we can fit in some mythics between now and then. 340 ilevel gear dropping on bosses is nothing to be baulking at and basically why we stopped running heroics – why chase 325 when we can chase 340? Amirite? DPS wise I think the boomy is doing me ok, I would like to be higher but I need to stop comparing myself to Stab and Pracey who had 30 ilevels on me and still have about 20 after upgrades. It makes a big difference. I even downloaded Hekili (mod for rotations) and my DPS isn’t that far off if I am not using the mod compared to when I am using it. This makes me happy. I see many more mythics in our future. Many. Our mythic waycrest manor last night was really superb, despite the problems we ran into, and I’m really impressed by the skills on display by you all. Previous PostPrevious Expeditions of fun!